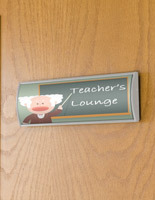 Office Signs are Available to Ship Quickly When In Stock. 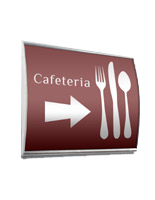 Many Signage Supplies Offered on this Website. Buy Office Signs Sold at Affordable Prices Here. These office signs that offer direction are an affordable, yet visually-pleasing way to display corporate signage. Constructed from durable anodized aluminum with plastic end caps, this frame can last for many years to come, without going out of style! The nameplates include an anti-glare lens for easy viewing. The lens also protects the displayed graphic from getting damaged. These wall displays, cheap office signs are sold with no artwork included. 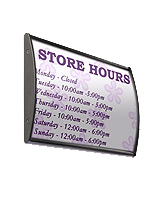 However, customers can create and print their own signage using a regular printer. 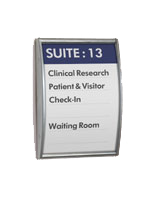 These office signs for doors enable users to quickly and easily change their graphics as well. Simply use the provided suction cup to lift the overlay, and place the prints underneath. 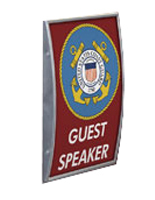 These nameplates, office signs can be attached to most flat surfaces, in both vertical or horizontal orientation. 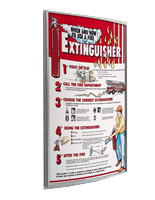 Each of the business signholder frames is equipped with double-sided VHB tape on the back. 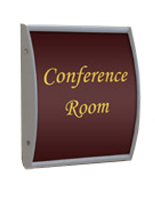 These office signs, also known as lobby signholders, can also be used as a wayfinding or directory displays, by attaching multiple frames to the wall in a grouping. 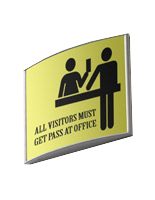 Place these name holders for interior use in an entrance or lobby area to direct new employees and visitors to the right location. The black finish of the office signs is ideal for coordinating with just about any interior wall color or existing decor. 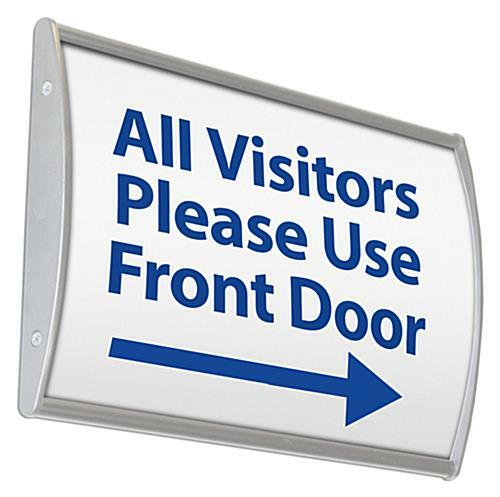 Lobby signage, like the one seen here, is great for use within banks, hospitals, schools, studios and other corporate offices.